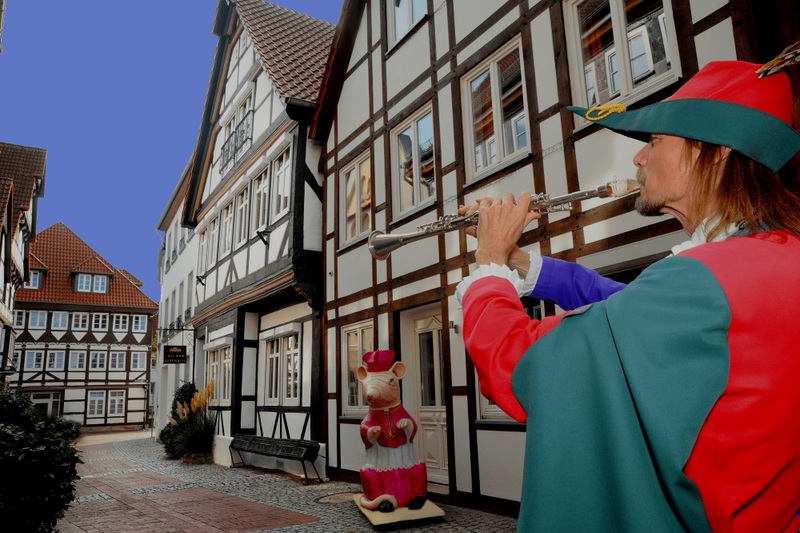 close to the Weser River and its bicycle route, the Hochzeitshaus and all other famous sights of the world known Rattenfänger town Hamelin you will found our Hotel "La Principessa". Behind the historic facade you can expect modern rooms in meditarranean ambiance. No matter if you travel for business reasons or private, we will do our best to ensure you have a pleasant stay. The "Hotel La Principessa", from Italian "The Princess". The fantastic city center of the Rattenfänger town waas enriched by another beauty as the Principessa opend its doors. The building was constructed in 1708 and completly renovated in 2002. The former smithy is now an elegant, modern and comfortable hotel. All rooms are furnished with furniture from solid wood and the bathrooms are lined with finest granite. La Principessa is a Hotel Garni. A rich and varied breakfast from our buffet is included in the price.